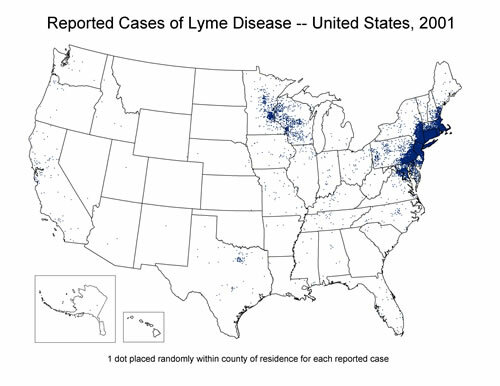 For more data and statistic information on Lyme disease in the United states visit the Center for Disease Control. 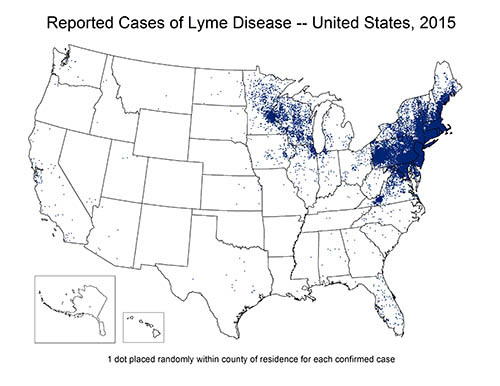 “Lyme and Reason: The Cause and Consequence of Lyme Disease." Learn about Lyme disease, symptoms, medical testing and treatments. An Indiana girl died last Saturday from what doctors believe was a tick-borne illness. Doctor's had been treating her for Rocky Spotted Mountain Fever. She had been admitted to the hospital with a high fever that would not break, swollen hands, a brain infection and an irregular purple rash covering much of her little body. Fox News Article on 3 year old child bitten by a tick.